On May 31 and June 1, 2014, the National Day of Civic Hacking will unite technologists, entrepreneurs, developers and other citizens in using open data to improve communities and the governments that serve them. Shawn Looker and his organizing team hope they can show the City of Las Vegas what its citizens can accomplish with access to the data they have. Last year, the volunteer team had many supporters including the City of Las Vegas, Twilio, and SYN Shop. “This year, we’re still working on partnerships, but Zappos is our flagship sponsor and Innevation Center is graciously giving us space, wifi and power to hold the event. Twilio is another sponsor we’re working with, and the City of Las Vegas is completely on board again as well,” he said. Shawn Looker explained that most people assume that a hackathon is just open to technical people. However, the National Day of Civic Hacking is most successful when attendees are from all backgrounds. Registration for students and those under 18 is free of charge. Get all the details for this event here! 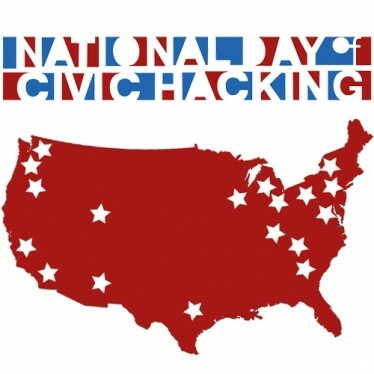 About National Day of Civic Hacking: National Day of Civic Hacking is an event when citizens from around the world will work together with local, state and federal governments as well as private sector organizations with the common goal of improving their community through technology. A band of motivated citizens can create smartphone apps that track the exact locations of public transit vehicles, allow cities to efficiently understand and address the maintenance needs of their citizens, and enable communities to easily share neighborhood news. About Code for Vegas: Code for Las Vegas is the meetup for discussing ways to deploy, maintain, and sustain civic technology and open data infrastructures.